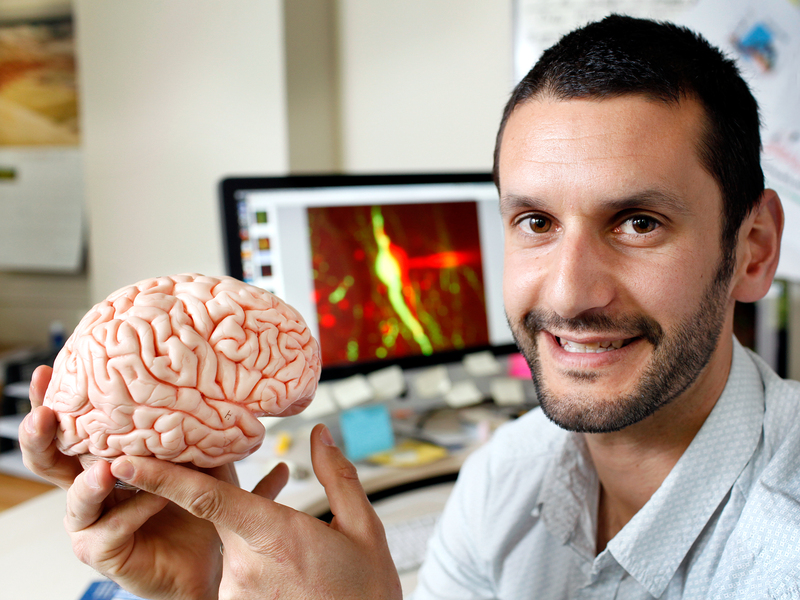 An Otago researcher, who has discovered a new brain cell structure and communication system, setting the stage for more targeted therapies for neurological diseases, has been awarded the 2014 Prime Minister’s MacDiarmid Emerging Scientist Prize. Dr Karl Iremonger, a researcher and lecturer at the University of Otago, used cutting-edge technology to help identify brain cells that function differently to what has been previously accepted. His prize is worth $200,000, with $150,000 to be used for further research. Of the 80 billion brain cells, or neurons, that process information to make our bodies function, Karl has concentrated on specific cells that control fertility and reproduction. He says his discovery could ultimately lead to improved contraception and infertility treatments. Karl used laser light microscopes and electrical recordings from specific hormone-releasing neurons that are central to fertility, in a bid to understand how their excitability is regulated. From this, he was able to understand how connections from other brain cells regulate neuron activity and hormone secretion, resulting in normal fertility. His findings are internationally significant and could throw new light on how other neurons regulate different bodily functions, challenging long-held beliefs about how the brain works. “When parts of our brain malfunction, the treatments are often poor or ineffective. One of the reasons could be that our thinking about how brain cells function is overly simplistic. My research shows that some brain cells function very differently to what was previously thought. “It provides a real foundation for other research and opens up possibilities that other neuroscientists may not have thought of,” says Karl. “This means the possibilities are endless. Since the brain controls everything about us—our memories, our emotions, our movements—discovering that various brain cells may process information differently to what we currently think has huge ramifications, specifically in developing treatments for other neurological disorders,” he says. The 34-year-old prize winner attributes some of his scientific success to his natural curiosity and creativity and says his fascination for the brain drives his energy for discovery. “It’s important to be creative in science. If you’re not creative you’re not thinking outside the box and may not come up with new solutions and that’s how we achieve new discoveries. People don’t often equate science with creativity but a huge part of being a successful scientist is to think creatively,” says Karl. 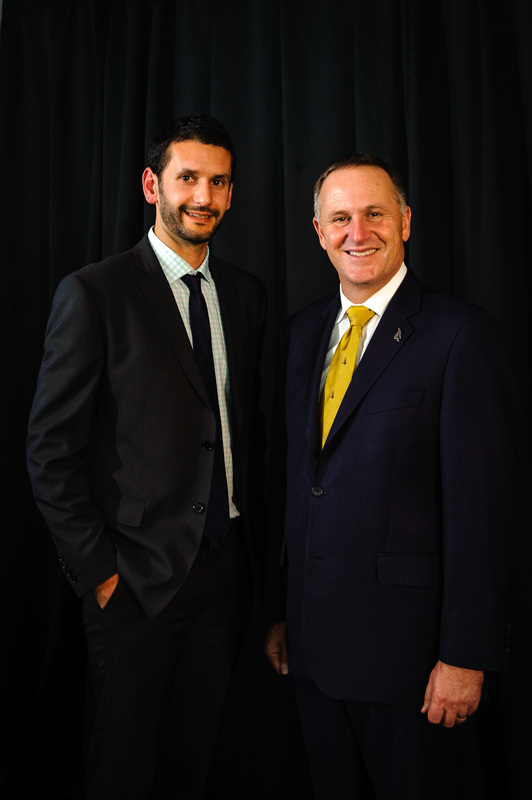 Karl was Dux at Darfield High School, Canterbury, before completing Bachelor of Physical Education and Bachelor of Science degrees at the University of Otago and a Master of Science and PhD in Neuroscience at the University of Calgary in Canada. Since returning to New Zealand in 2010, Karl has presented his work numerous times at national and international conferences. He has an outstanding publication record for an early-career scientist. Karl’s prize money will contribute to a New Zealand-first research laboratory at the University of Otago where Karl and his team will be applying his world-leading knowledge to discover how the brain controls the body’s response to stress. 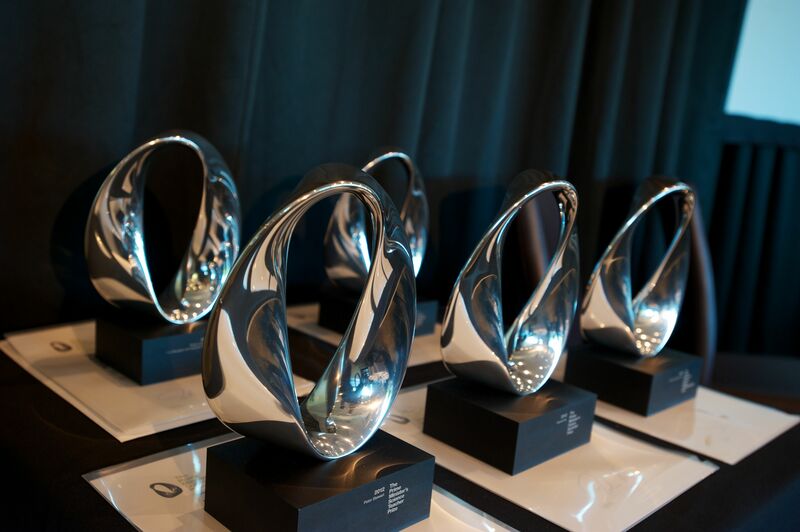 The 2014 Prime Minister’s Science Prizes were presented to winners on Tuesday 2 December at the Museum of New Zealand, Te Papa Tongarewa in Wellington.